No matter how much I'd get annoyed with the host, guests or panelists, Meet the Press has always been a Sunday tradition for me. You watch it to know what/who the political media has deemed important that week, every so often you'd get a genuinely interesting interview/debate along the way. 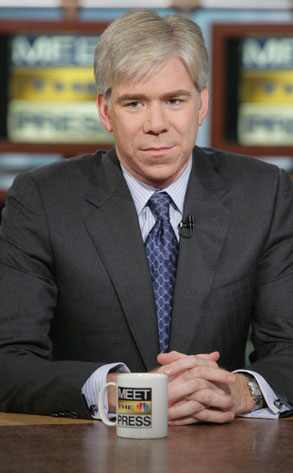 While I didn't think David Gregory would be a good fit as the MTP host, I also didn't think that he would make the show unwatchable within 12 months, and become the poster boy for what's wrong with political journalism. When journalism professor Jay Rosen floated the idea of fact checking the Sunday shows as a way to prevent the constant lying and bullshiting that their current format makes possible, the responses were mostly positive. ABC's Jake Tapper has gone so far as asking Politifact.com to fact check each episode of This Week and publish the results. [A]ccepting a challenge from New York University’s Jay Rosen, interim host Jake Tapper has arranged for the St. Petersburg Times’ PolitiFact site to fact-check what “This Week” guests say after each program. Look, I don't think it's fair to suggest I'm opposed to fact checking or accountability or real journalism for that matter. My view is that I just don't think we need a formal arrangement to accomplish that goal. Glad he cleared that up. He's not opposed to people checking his facts, like he said before, you can do that on your own time! And why do you need a "formal arrangement" to do something that you weren't going to do anyway?